What Happens When You Bring Cake in China? It never would’ve occurred to me to purchase a cake in order to save face. But that’s what our Foreign Affairs Officer (FAO) urged us to do when we needed to make a delicate change in our son’s schooling arrangements. See, our FAO, Ai Lin, or ‘Arlene,’ had taken a gamble when hiring us to teach at her Chinese university for a year. 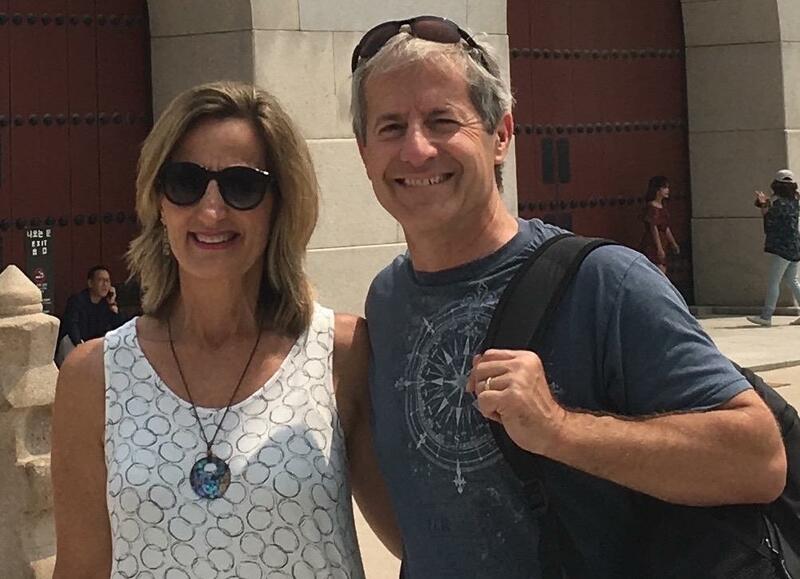 We were a sweet deal – two Stanford University graduates with experience both teaching and living abroad. But we were also a package deal, with three kids ages 14, 12 and 8 (boy, girl, boy). Arlene worked hard on our behalf, and we were grateful for that. She was relatively new in her position, so accommodating a family like ours was a new challenge. Slightly quirky but full of spirit, Arlene strove to be a strong advocate for us while at the same time upholding her duties to her superiors. Our arrangement was to homeschool our kids in the morning. Then they would head off to Chinese schools in the afternoon while we taught. My husband and I alternated evening classes as well. Good enough. It seemed like a sound plan. Our decision to go to China was somewhat last minute. We were headed to a completely different area of the world, but then the doors closed for us. So, although we had been preparing to go somewhere, we hadn’t made time for good language exposure beforehand. We knew just a handful of vocabulary and expressions when we arrived on Chinese soil. And we were deliberate in our choice to avoid international schools for our children. That seemed a contradiction to our intentions: to get our kids into the culture, to experience it firsthand, in all its beauty and confusion. Also, our living and employment arrangements back in the U.S. required we take only one year abroad. From our vantage point as adults, we would have rallied for more. But one year was good for our kids. Living there, even for only a year, grew them all. The two older kids got grouped together. Arlene had arranged for them to attend classes equivalent to 7th and 9th grade at a middle school affiliated with our university. Getting to this school required a commute of over an hour, across our city of five million. The commute added a new dimension to the challenge. I share more about that here. Our kids were the first foreign children ever to attend this school. So, you can imagine, they got a lot of attention, both positive and negative. Still, overall, the experience was valuable for both. This could be largely credited to two excellent teachers and a handful of girls in our daughter’s class who were more advanced in their English. They really reached out to her and helped her adjust. While the older two had the challenge of commute, our youngest, Luke, had a five-minute walk to his school. We could almost see it from our apartment. Like the other two, he also was among the first foreign students at the school. Ever. Two younger boys from South Korea joined him at the school that year. Being younger, more linguistically prepared, and Asian themselves, these boys assimilated more smoothly than did our Luke. When Arlene introduced us to the Principal and then to the English teacher for Luke’s grade, the time was filled with many bows and discussions that went right over our heads. It soon became clear, however, the English teacher felt quite intimidated around us. We didn’t mean to make her feel that way. But we think she was coming to terms with her own lack of practical speaking skills. And this made her avoid us. The arrangements for our 8-year-old son were awkward at best. We encouraged him to to listen for the first 10–15 minutes of class to see if he could try to figure out what was going on. Then we encouraged him to read the English book he would bring daily. That was the year Luke became a reader. Redwall. Narnia. Harry Potter. A whole range of other characters came alive. They were safe territory for this little boy. Still, a few incidents happened that made this experience very hard for our little guy. Several instances of “playful” bullying occurred. “Just ‘naughty boy’ stuff,” we were told. But it was rough for Luke. The teachers fumbled in their attempt to draw Luke into what they were doing in the classroom. It was, quite simply, very hard for all. As the first semester came to a close and we headed into our break, we decided to make a change and pull Luke out of that school. Instead, we reasoned, we could make some arrangements with some of our university English students who wanted to help to “tutor” Luke in the afternoons while we taught classes. This was our plan. When we brazenly announced it to Arlene upon our return from the semester break, it set her into panic mode. In truth, we had failed to see the delicate nature of the relationships our choice would impact. Arlene told us that she wanted to make sure the relationship with this school remained good, so they would accept foreign students in the future. In order to accomplish that, we needed to play by her rules. So here’s where the cake came in. Arlene insisted we purchase one and get printed on the top, 谢谢您的帮助! (Xièxiè nǐn de bāngzhù – Thank you for your help!). Then she suggested we get gifts for the principal, the head teacher of Luke’s grade, and the English teacher. She gave us ideas of what to purchase and we bought these items and wrapped them nicely. Lastly, she told us to explain our reasons for removing Luke from school were because we needed more time to focus on Luke’s American-based 4th grade curriculum. This last point was an exaggeration; Luke was progressing just fine. But she needed us to agree on this so as not to give any hint the fault lied on the school’s (or teacher’s) side. Although telling the truth is important to us, we decided to let this one go. Our compliance was essential for Arlene to save face. And she did. And we moved on. Things got better for Luke. In the end, everyone won. This article is an excerpt from Caroline’s 5-star book, Jumping Out of the Mainstream: An American Family’s Year in China. Interested in reading more? Download a free preview HERE or grab yourself a copy on Amazon today!